There are certain weight loss myths and tactics that are so stupid they don’t only fail they can also harm you. Deeply ingrained as common knowledge for losing weight these dangerous “wisdoms” go against all the scientific data we have on weight loss. Make sure to avoid these to maintain your health while building your dream body. Though many people don’t know what real starving is depriving yourself of food for prolonged periods of time can lead to all kinds of different health problems (depression, insomnia, kidney stones and more) linked to starvation. Don’t confuse starving with fasting though. The latter can actually help with weight loss and improve health markers. The plastic wrap is another stupid weight loss myth that keeps popping up here and there and it’s not only not effective, it’s dangerous. What does it promise? You’ll sweat more hence losing more fat? But that’s just not the case with increased sweating. If you sweat much it doesn’t mean the fat is actually melting. The sauna effect just makes your circulatory system works harder to cool your body placing too much strain on heart. Besides your endurance levels drop and you can’t really work out effectively. So it may even hinder your results aside from robbing you of health. Carbs are the new fats. They are considered evil and fattening but what people don’t realize is that myths like that come from professional sports like fitness and bodybuilding where cutting stuff like carbs, fructose, and even water (a day or so before a competition) is the thing to get an edge over other competitors. Studies show that as long as a person trying to lose weight cuts back the calories, doesn’t matter the source, it makes no real difference, the weight will come off just as well. 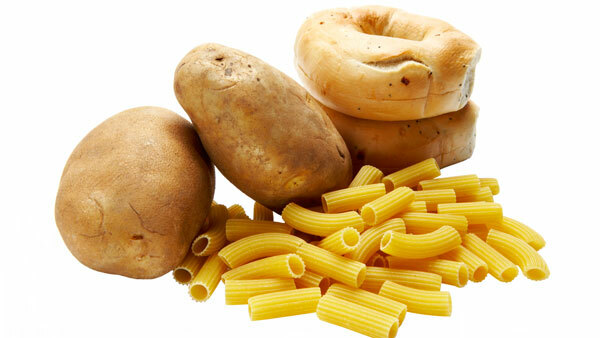 Besides we need carbs to be able to exercise and recover after workouts while trying to shed fat. Juicing/detoxing is a fad that’s still pretty popular and keeps appearing here and there all over Internet as a way to “cleanse” body of toxins and lose weight. Let’s address the main issue of weight loss right away. You will lose water from detoxing for a day or two. From then on your body will not get enough nutrients from the fiber-stripped juices or even if you’re eating the pulp there is just not enough to sustain a healthy weight loss. Say hi to loose skin, constant hunger, and muscle loss because that’s the reality of these fad diets (and that’s if you can sustain one for at least a week). The moment you start eating the way you were before the diet you’ll regain those water pounds pretty quick. Now for the toxins. 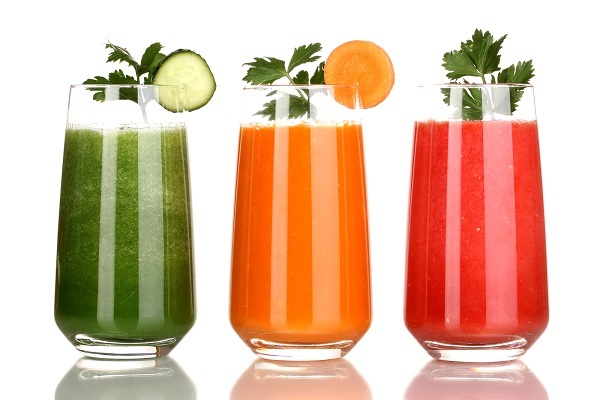 There is no scientific evidence that juicing or other types of dietary cleansing helps the body to get rid of toxins. If you are so worried about toxins, make sure to maintain the health of your toxin-ridding organs like liver and kidney and you’ll be fine. Yes, you read that one right. Eating clean has become cultish as anything in fitness industry. While not eating suspicious foods that can survive too long of a shelf life along with the trans fats is generally a good idea, breads, pasta, and bananas remain perfectly good foods that you can eat as long as they fit your daily caloric needs. Gluten is only dangerous to people suffering from celiac disease. If you don’t have any food allergies and intolerances there is no objective reason for you to exclude those foods from your diet. The more varied it is the better your micronutrient (vitamins and minerals) profile is. With people being afraid of carbs and fructose for no good reason a well-balanced diet becomes much more important than a so-called “clean” diet. The slimming pills, teas, and other nonsense is dangerous enough to send you to the hospital so should we even say that they are totally not worth it? This entry was posted in News and tagged weight loss. Bookmark the permalink.